Preparing lunch for work can become a bit of a chore, especially when you have to get up at silly o’clock in the morning or spend an hour or so trying to think of something to take to work. Most of us end up not worrying about it and dashing out to the shop in the hope something yummy might be on the shelf. However, the best way to ensure what we are eating is healthy is to make it ourselves. Go and spend a little bit of money, on good quality tubs, zip-lock bags, a foil lined lunchbox, and a drinks bottle that will only be used for your lunches at work and nothing else. Buy something that looks nice, is practical and will be long lasting. Not only will a nice lunch set encourage you to use it, it will save the upset of a squashed sandwich at the bottom of your handbag. Once a week, sit and write your shopping list for the upcoming week with your evening meal ingredients, and then add your lunch plans. Not only will writing a list encourage you to stick to buying only the essentials, it gives you a good chance to staying on plan for the week. If you are stuck for lunch ideas, a quick online search can help inspire you. Once you have bought everything you want for your weeks lunch – create an area in your fridge and cupboard that is only for your lunch supplies. This can help you see what options you have each day quickly and easily, but it also allows you to see what needs to be replenished on the next shop, so that you never run out. Make sure that when you are making your lunches, you are including the right amounts of healthy foods. For example, you should pack a portion of fresh fruit/veg, whole grains, dairy and proteins. Healthy fats & oils are still part of our balanced diets – maybe think about snacking on a handful of nuts or add avocado to your salad or sandwich. There is nothing worse, than opening your lunch box and seeing the same sandwich you’ve made every single day for the past two weeks. Be creative, and try something new every day. Try a salad one day, a sandwich the next or maybe a homemade soup you could warm up another day? Don’t be afraid to treat yourself with a couple of squares of dark chocolate every now and then. When cooking your evening meal, double up on a few areas of your meal and reinvent the ingredients for a tasty exciting lunch! Maybe add roasted vegetables into your salad, or a bit of last night’s gammon into a tasty wrap. Lunch is important, but snacking is too. Plan for your snacks in advance, and you’re less likely to snack on the “wrong” thing. Buy nuts, dried fruit and other healthy snack options in bulk, and then divide them up into smaller portions that are easy to grab on your way out of the front door. You won’t feel the need to use a vending machine or pop to the corner shop for a bag of crisps that way! Everyone in an ideal world, would like a better lunch routine. 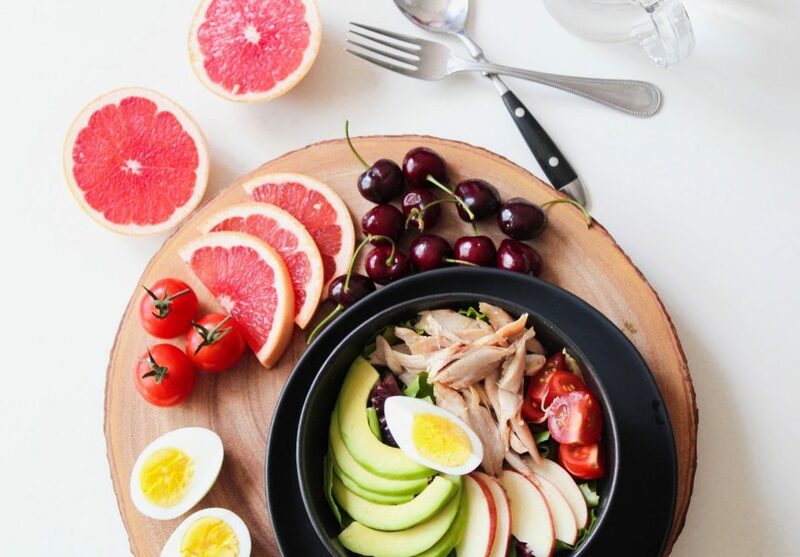 Perhaps find a couple of colleagues who would also like to make a change to their lunch habits and suggest that once a week you all club together to make a combined lunch – someone make a salad bowl, someone else brings in some healthy wraps, and another person brings in some fresh fruit. Not only will it ensure you are eating a healthy lunch, it will give you time away from your desks and a chance to eat lunch with your colleagues. The biggest mistake we make, is that we stress ourselves over our lunch. There is no need, with planning, organisation and a fantastic lunch box, take the time to enjoy what you have prepared for yourself and really take the time away from your desk to not think about what tasks you have ahead of you. Whatever you do, make sure you enjoy your lunchtime!